Index of Poetry. Books of Poetry Form. How to Write Poetry. Latest books read. Haibun. Haiga. Haiku. Hay(na)ku. Rengay. Renku. Tanka. Tanka surveys. Tan-renga. Concrete. Fib. Ghazal. Lai. Pantoum. Prose poem. Rondeau. Rubáiyát. Yuki Teikei Haiku Society: Join. GEPPO magazine. Annual anthologies. 2007 Asilomar Haiku Retreat. Las formas de la poesía en Español: El Poema Concreto. Haiku by Bashō. Haiku by Shiki. Haiku by J. Zimmerman. Tanka by J. Zimmerman. Modern Japanese Tanka edited by Makoto Ueda. Twenty Japanese poets develop the tanka in the 20th century. Check How to Learn Japanese. Tanka: the form and how to write: History. Form. Your Composition. References. Tanka surveys: Voice (I, you, etc) in tanka. Emotions in tanka. Punctuation in tanka. The Tanka is a Japanese verse form; its name is generally translated as "short poem" or "short song." It is an ancient form of syllabic Japanese poetry, popular in Japan since the 7th century (C.E.) or earlier. It is becoming increasingly popular in North America, Europe, and Australasia. 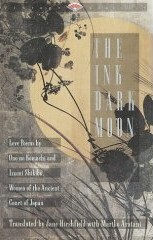 The Ink Dark Moon, translated by Jane Hirshfield with Mariko Aratani, tanka of Ono No Komachi and Izumi Shikibu of the Heian court. 'first-person singular': at least one pronoun (I, me) or possessive (me, mine). 'first-person plural': at least one pronoun (we, us) or possessive (our). third-person singular: he, she, his, her. third-person plural: not recorded because found in less than 1% (and usually 0%) of each set. The 'first collection' of modern Japanese tanka available in English. A delightful and comprehensive presentation that shows the development of the tanka form. by Jane Reichhold, whose many skills include a keen sense for the writing and appreciation of haiku. This book includes useful guidelines on writing haiku and related forms.